Every year in the UK, an estimated 12,000 deaths are linked to past exposure to airborne hazards in the workplace. These hazards include common pollutants such as Particulate Matter (mineral and metallic dust), waste gases (sulphur dioxide and nitrogen dioxide), and chlorinated hydrocarbons. 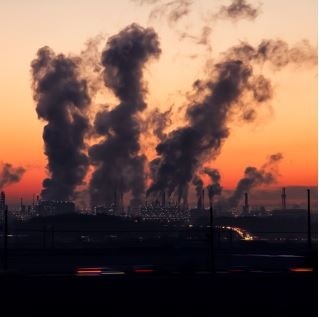 While a lot of progress has been made in reducing industrial air pollution in the UK,the manufacturing sector still has some work to do in orderto achieve 'zero harm'. A more detailed focus on the potential hazards posed by these industrial by-products has gone hand-in-hand with progressive layers of legislation to improve air quality. Compliance with air quality standards is now an important part of any manufacturer’s remit, regardless ofthe industry. We have written this page for any engineer working for a manufacturer affected by air pollution or emissions legislation. If you find yourself needing to take steps to reduce harmful emissions, we hope you will find some useful information here. 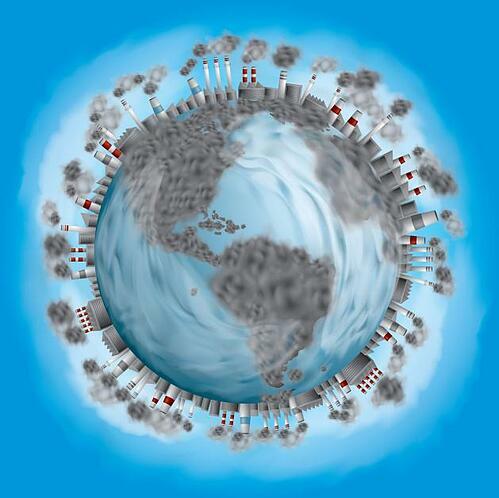 Ceramics: Emissions can be caused by the binding agents releasing VOCs. Chemical: Including pharmaceutical manufacturing and petro-chemistry. Metallurgy: Aluminium and steel manufacturing, as well as metal recycling. Construction: Many emissions resultfrom the production of processed wood and fibreglass products, plus preservation materials for woods,textiles and insulation. Plastics: Many thermoplastics and fibreglass products release emissions during the manufacturing stage. Paints & Surface Treatments: Emissions are involved in automobile, commercial and domestic paint manufacturing, plus varnishes and coatings. Printing & Packaging: Flexography, lamination, inks and textile printing all produce emissions. Food & Drink: Emissions are produced by the preparation of instant coffee, dried soups and soft drinks, plus tobacco and food additives. 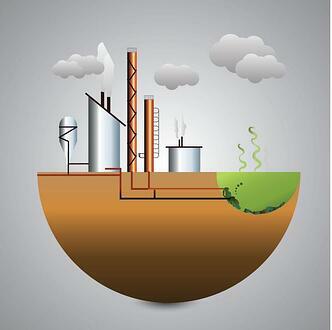 Renewable Fuels: ‘Clean’ biogas and bioethanol each produce polluting emissions. At Therser, our job is to design and supply clean, efficient industrial air purification systems, as well as a range of eco-friendly furnaces and kilns. Regardless of your industry and application, using the latest heat recovery technologies will allow you to reduce harmful exhausts and convert waste heat/ pollution into reusable energy. Please speak with one of our engineers for further details. You can call us on +44 (0) 1782 824453, or send us an email to sales@therseruk.com. 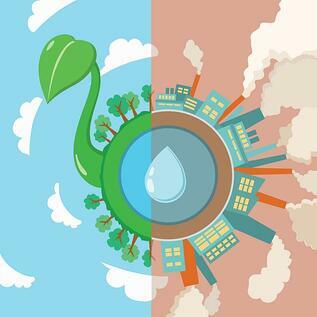 In the last decade the importance of preserving the environment and reducing global emissions has increased drastically. So much so that the manufacturing sector is now governed by strict air quality and emission reducing legislation. 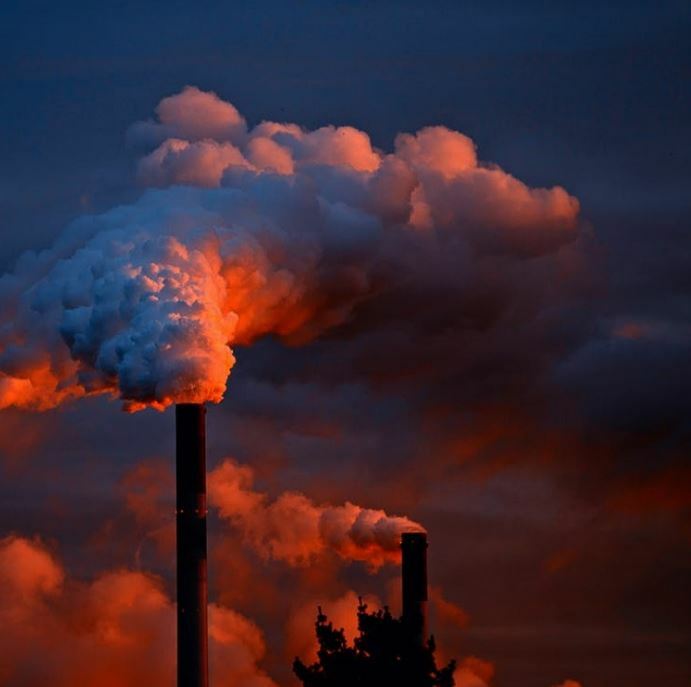 In order to ensure compliance with the new air pollution guidelines all businesses within the manufacturing sector are being encouraged by the government, as well as numerous environmental agencies,to study the legislation. It is always cheaper in the long run to go beyond what is required and pre-empt new legislation, rather than always having to respond to new statutes. Fortunately, the latest generation of emissions control technology makes this job a lot easier. In this section, we will provide a brief overview of the main airborne pollutants and the current legislation in place to control them. The National Air Quality Strategy (otherwise known as The Strategy) has guided the UK’s response to air pollution for the past 20 years. Implemented between 1997 and 2005 as part of the Environment Act (1995), this framework was the latest in a long line of pollution control measures introduced in response to the great urban smogs of the 1950s. The purpose of The Strategy is to provide a legislative framework to control the main life-threatening airborne pollutants. Eight pollutants were initially identified; each pollutant was then ranked according to how dangerous the effects were on public health. 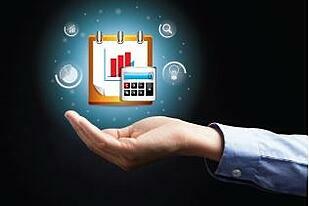 The Strategy encompasses a number of regulations and objectives, linked to financial incentives and penalties. The Strategy was designed to be flexible and gradually evolve alongside the world's changing environmental and economic circumstances, but has so far been aligned to the EU Air Quality Directive and the World Health Organisation (WHO) Air Quality Standards. The Strategy is enforced by local authorities under Part IV of the Environment Act. Each authority operates a Local Air Quality Management (LAQM) strategy to monitor and regulate air pollution in their area. The Strategy was last updated in 2007, so many of its requirements are now considered to be out of date. In 2013, 2014 and 2015 the government instigated three consultations on LAQM standards, resulting in expanded Technical and Policy Guidance and streamlined reporting requirements. Additional measures were introduced to control industrial pollution in the Pollution Prevention and Control Act (1999). This established an Integrated Pollution Prevention and Control (IPPC) agency, which took on many of the responsibilities defined under the Environmental Protection Act (1990). Since 2007, these measures have been incorporated into new Environmental Permitting Regulations (EPRs). These cover emissions across a wide range of industries on a sector by sector basis. Businesses operating in each sector have to obtain a permit from the appropriate regulator to govern its activities. Each permit covers areas such as noise, vibration, heat, energy use, and accident prevention, as well as pollutant emissions. New businesses are required by law to carry out a complete environmental impact assessment. Eight different gases and airborne substances are classified as 'pollutants' by The Strategy because of their dire effects on human health and the environment. These are all present in manufacturing to some degree, with some being more prevalent in particular industries than others. As these pollutants are considered harmful even in small concentrations, legislation places a responsibility on manufacturers to reduce and control emissions. Here is a list of the eight different substances, followed by their maximum allowed concentration under current legislation. The release of ‘dark smoke’ (shades 2-5 on the Ringelmann Chart), grit and dust is also prohibited under the EPRs. Businesses are also encouraged to control ‘malodorous fumes’, such as those resulting from ammonia treatment in the leather tanning process. These emissions can all be controlled by using an RTO system. The frequency and efficiency of environmental inspections have improved drastically over the years. For instance, it is now common practice to test for emissions at the chimney stack of incinerators, an area that was previously hard to test and was often used to get rid of harmful emissions. From the outset, manufacturers and individuals have been encouraged to establish Pollution Prevention and Control (PPC) strategies and think creatively about ways to reduce their emissions. This includes an obligation to use the best available technologies to achieve their air quality objectives. In practical terms, this means a regular programme of upgrades and replacements for industrial kilns and other hardware, combined with pollution-reducing technologies, such as RTOs and afterburners. Air quality standards are deemed to have been violated if the level of a controlled pollutant exceeds EU limits over the defined measuring period (see previous section). As limits are given in terms of mean levels of pollutants, monitoring takes the form of averages over different time periods. Most of these are rolling averages, giving businesses some flexibility over the precise level of emissions. Heavy fines are in place for air quality violations. A business can also be ordered to make site improvements in order to improve local air quality, linked to specific objectives. Some of these fines can be extremely high. In 2016, a concrete manufacturer in Ealing, West London, was fine £120,000 after being convicted of air pollution offences and spillages between May 2014 and April 2015. An interesting factor in this case is that the fines were imposed on account of the risk of harm to air quality, as opposed to there being proof of actual harm. 1) First you should ensure your manufacturing equipment meets the highest standards for noise, emissions and energy efficiency. Investing in new kit is often the most cost-effective choice, as this not only brings environmental benefits but also increases your productivity and efficiency. However, it is also feasible to upgrade some equipment by retrofitting new, eco-friendly burners, valves or filters. 2) Secondly, you should invest in a high-quality air purification system to actively isolate and control polluting emissions. The main technologies are mentioned below. Of all the filters, valves and other technologies developed to deal with waste emissions, afterburners and RTOs are the most widely used. Both RTOs and afterburners are types of thermal oxidiser / incinerator but each have their own unique function. 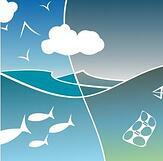 The two technologies have the capacity to deal with all the airborne pollutants we have discussed so far. However, it is unlikely you will need both an RTO and afterburner unit for the same application. The two form an either / or choice for most businesses, perhaps combined with another oxidiser, filter or scrubber unit. At Therser, we manufacture a wide range of afterburner units, which are extremely efficient at controlling waste gases and odours. Afterburners use combustion to convert complex hydrocarbons into harmless Carbon Dioxide and water, while Nitrogen Oxides are reduced to Nitrogen and water. The method behind this is very simple. Several gas-operated burners are situated along an incinerator tube linked to the exhaust inlet on one end, and the chimney on the other. When the burners are ignited, the heat currents draw the exhaust gases into the incinerator and through each flame in turn, creating a swirling effect. This process is known as flame washing. At the top of the incinerator, air ducts pull in diluted air, which cools the purified exhaust and channels it out through a chimney. On a six burner afterburner, the temperature in the incineration tube can be set as high as 900°C to 1,100°C. After cooling, the combined outflow exhaust is reduced to 100°C to 300°C. Our afterburner units are fabricated from mild steel casing, with the inner walls insulated with refractory bricks. The exhaust temperature is lowered with the aid of a burner combustion fan. While afterburners are fairly compact units that can be attached to the exhaust outlet of individual kilns and furnaces, regenerative thermal oxidisers require a more extensive infrastructure. They use the same process of incineration as an afterburner, but also use 2-5 additional heating chambers to aid energy recovery and lower operating costs. Therefore, while the initial investment is higher and more space is required, an RTO will recover 95-97% of the internal heat being generated. At low concentrations, the latest generation of RTO’s are capable of fuel free operation. The waste exhaust is fed into the RTO through an inlet tube, aided by a fan. The exhaust then enters each chamber in turn, with the process repeated in each one. At the entrance to each chamber is a valve box with poppet valves, which directs the hot exhaust over a heat exchanger bed, into the main combustion chamber. At this stage the waste fumes are mixed with a reduction agent and ‘washed’ by a burner. It is then passed through another heat exchanger bed, through an exit valve and either into another chamber, or through an exit stack. Gas & Chemical Scrubbers: If your process releases a large quantity of organic or inorganic compounds, you may want to consider using a gas or chemical scrubber. These are single or multi-stage chambers that use a water-based ‘scrubbing liquid’ to absorb water-soluble compounds from a gas as it passes through the unit. Catalytic Oxidisers: Certain gaseous organic compounds are best handled by catalytic oxidisers. The plant consists of an electric or gas powered burner that oxidises hazardous gases into water vapour and Carbon Dioxide. 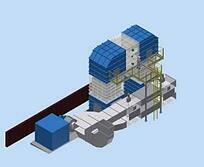 They also include a heat exchanger to allow recuperation of heat energy. Activated Carbon Filters: Carbon filter units are ideal for cleaning exhaust emissions with a relatively low volume of Volatile Organic Compounds (VOCs) or malodorous substances. Activated carbon can also be used to remove chlorinated solvents. The choice of unit for your facility comes down to your budget and requirements. Afterburners provide a simple and effective means of controlling common exhaust emissions. They are fairly compact and can be custom-designed to meet your needs. An afterburner allows you to quickly reach the high temperatures required to break down complex hydrocarbons (750°C plus), allowing you to process high volumes of waste in a short time. Modern afterburners also give the operator precise control over the time, temperature and turbulence involved in the combustion process. On the other hand, afterburners are not the most energy efficient choice as they require constant gas input to their multiple burners. Also, while the cooling unit greatly reduces the impact of waste heat, it is not eliminated. The exhaust at the chimney outlet could still be close to 300°C. An RTO uses its heat exchangers to recapture this lost heat for use either in place of gas for its own operation, or to fuel other equipment, such as water heaters. For businesses with complex needs, or low concentrations of pollutants, RTOs are an increasingly popular choice. They are eco-friendly, comply with all legislation and are extremely cheap to run. They are also efficient at breaking down chlorinated hydrocarbons, which is a particular concern for the pharmaceutical industry. On the other hand, the footprint of an RTO is larger than that of an afterburner. They also cost more and take longer to install and commission. Furthermore, their multi-chamber operation gives them a slower throughput than afterburners, and a lower operating heat. At Therser we understand that each manufacturing business is different. Each business requires a bespoke approach in order to meet the local area's air quality compliance guidelines. You may need a single solution, or a combination of different purification systems. With our expertise in system design, installation, commissioning and maintenance, we allow you to take a bespoke approach to air quality that helps you cut energy costs and keep ahead of environmental legislation. Thermal Services (UK) Ltd was set up in 2009 as a specialist kiln, furnace and air purification system manufacturer and service provider. Our team combines more than 150 years of manufacturing experience, so it is fair to say we know the needs of manufacturing businesses like the back of our hands! Our workshop and head office is in Burslem, near Stoke-on-Trent, the heart of England’s historic manufacturing industry. This is where we design, fabricate and test our air purification equipment. We serve manufacturing clients across the world, providing new bespoke furnaces, incinerators and supporting equipment. We can supply a variety of oxidisers and afterburners to meet your requirements. Our team are happy to advise you on the best choice as well as design a custom solution to suit your business. 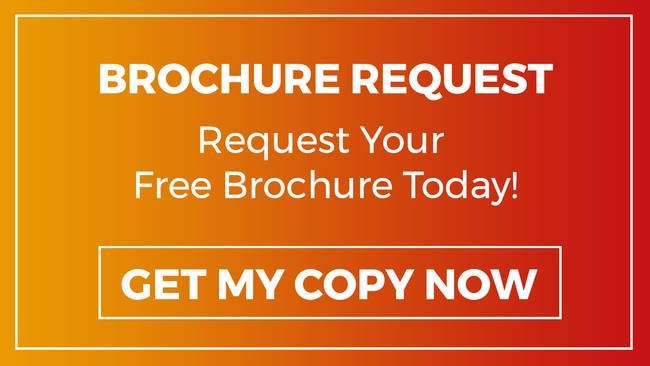 Depending on your industry, you may wish to purchase a purification system alongside a new industrial kiln, or invest in one as a stand-alone unit. Our team are here to ensure your investment capital is well spent and that you achieve an excellent return on your investment. Our experience with industrial kilns has given us valuable first-hand expertise in emissions and the surrounding air quality legislation. We have been able to incorporate this knowledge into our designs and build some of the most energy-efficient, eco-friendly kilns currently available on the market. Our background also puts us in a very strong position to provide customers with advice on compliance, environmental policy and efficiency savings. Our consultants can help you with any aspect of air-quality compliance, including environmental risk assessments, equipment audits or responding to inspection demands. At Therser, we have a strong record of reliability, affordability and customer service with all our products. All our afterburner and RTO units are assembled and tested at our Stoke-on-Trent factory. Our team at Therser also specialise in hot / cold mechanical and electrical testing. Your quote will include transport to site, installation and commissioning. Get in touch with one of our technical sales team for professional advice about the system specifications you need to achieve your goals. We will recommend the most efficient purification solution to suit your budget and requirements.